The assignment was to take our own face and exaggerate it into a caricature. I chose to exaggerate not just my facial features, but also my expressions. 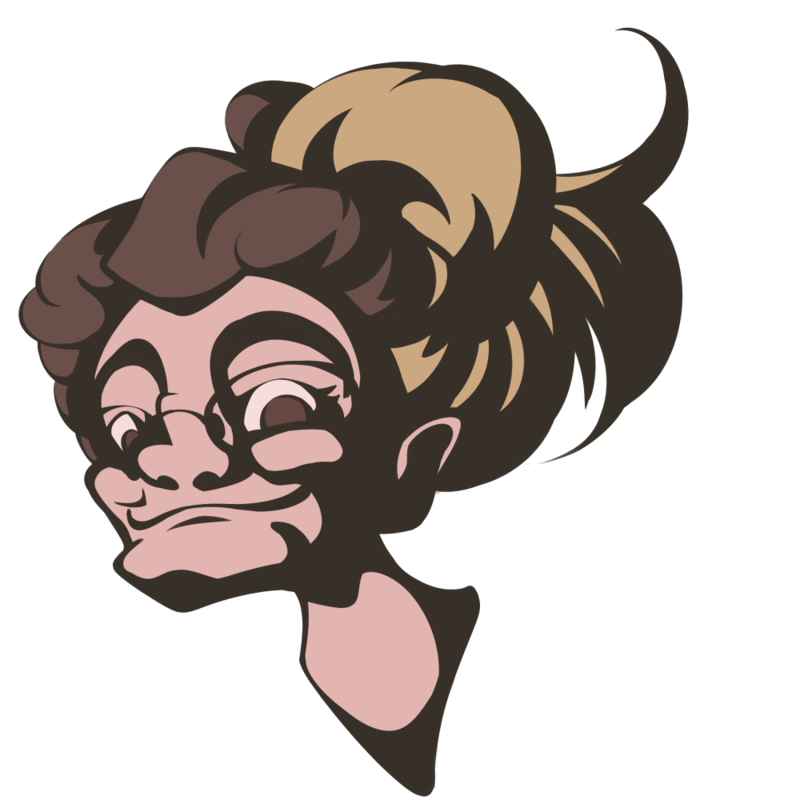 I identified two faces that I find myself making a lot -my smug smirk and and my disgusted expression- and did caricatures of those. I tried to emphasize some of the more subtle elements of the faces, like the outstretched jaw on the digital drawing. My inspiration for the style came a bit from Al Hirschfeld. 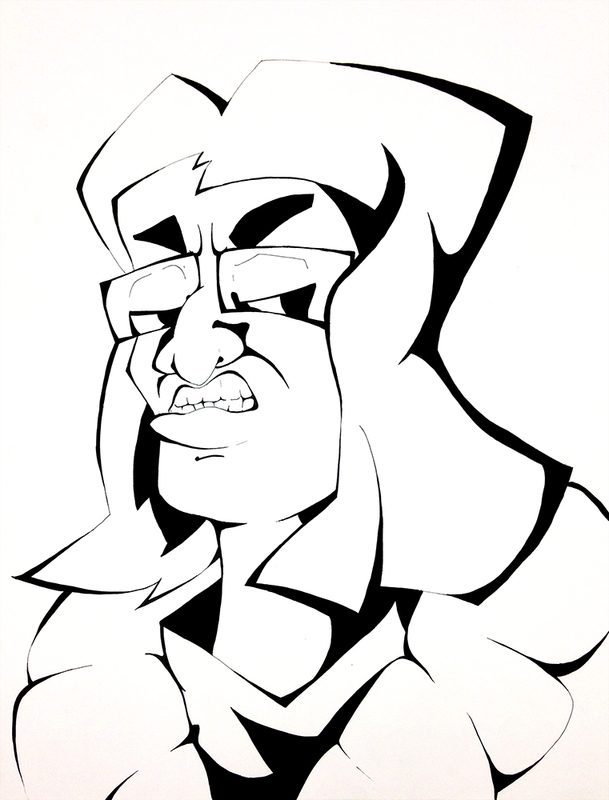 I loved the smooth lines and high contrast of his caricature works, so I tried to emulate that. All of the shadows on each piece are the same color as the lines, making the shadows appear very dark, and the lines thin out towards areas of high light. I also tried to keep the drawings simpler than I do in my usual style. This entry was posted in Non Time-Based and tagged 18"x24", 7"x7", Bienfang, Caricature, CloudAlpaca, Figure and Motion, Ink, Photoshop. Bookmark the permalink.